You are never alone. No really! You are the host of a micro cosmos of bacteria, living a symbiotic relationship in and on your skin, eyes, respiratory system and excretory organs. We have been evolving with these tiny, for us invisible, creatures for so long, that our lives depend on them. They work closely with our cells and fulfill functions that we cannot do on our own. The largest colonies of these bacteria are living in our gut, they actually out-number the cells within our body by far! 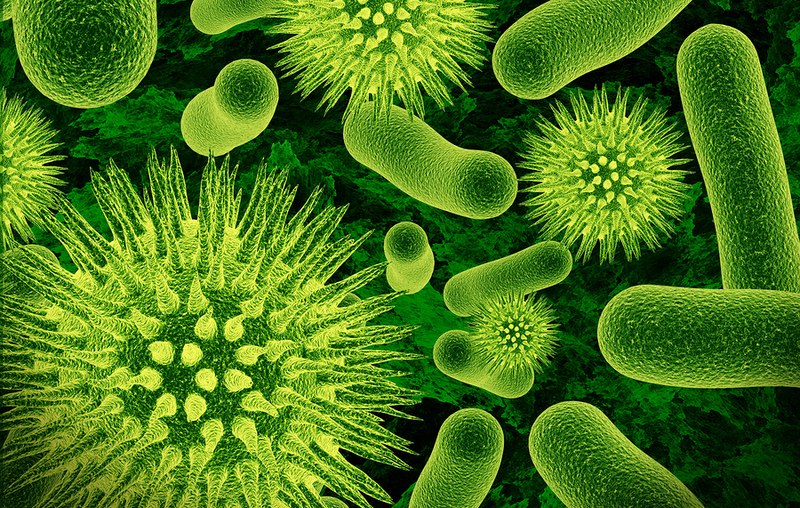 Most of you, if you are healthy, carry about 1,5 kg (3,3 lb) of bacteria in your guts. Remember that these guys are microscopic and together they weigh that much! The beneficial bacteria or flora – are the ones you want to have in your gut and keep happy. Some of their names are: Bifidobacteria, Lactobacteria, Propionobacteria and some strains of E.coli, Peptostreptococci and Enterococci. They perform a multitude of functions that I will return to later, but one of the most important ones is keeping the opportunistic and pathogenic bacterias in check. The opportunistic bacteria or flora – There are about 500 various species that we know off that can reside in our gut and they are usually controlled by the beneficial flora. They are usually only found in small amounts, but if they, for whatever reason, start multiplying and growing, they can give raise to a number of symptoms, both from the gut and the body in general. A couple of names: Bacteroides, Staphylococci, Streptococci, Bacilli, Clostridia, Enterobacteria. The transitional flora or the pathogens (disease causing agents) – They get into your gut through your food and usually pass through the healthy GI-tract without causing any problems. If the beneficial flora is deficient or non-functioning they can find rooting grounds and start growing, giving rise to disease and various symptoms. Some of them are: Salmonella, Shigella, Campylobacter, pathogenic strains of E.Coli, various fungi and viruses. As I mentioned, the beneficial flora has many tasks to fulfill and are of vast importance for our health and longevity. They make up a physical barrier that keeps the opportunistic flora and the pathogens and their toxins from gaining access to the gut wall and the blood and lymph systems on the other side. They also secrete antibiotic-like, anti-viral and anti-viral substances, and through that keep the disease causing agents from our environment in check. Many of the beneficial bacteria in our gut flora can also neutralize toxins, that come with our food and from disease causing bacteria. These anti-toxic properties might be a part of helping the immune system to keep cancer from growing. The beneficial bacteria are vital for nutritional purposes as well. They use some of the foods that we normally wouldn’t be able to digest, such as starches, fibers (preferably from and some long-chained carbohydrates that passed through without being processed. This happens through fermentation and the end product is short-chained fatty acids that can be used as a fuel source for the cells in the gut and the body. In fact, the cells lining the gut receive approximately 60-70 % of their nutrients and energy from the products formed by the gut flora. They also produce and help the uptake of amino acids and vitamins such as K2, B1, B2, B6, B12, folic acid. They also facilitate the uptake minerals, such as magnesium, iron and copper and of fats and fat-soluble vitamins, A, D, E and K1. Another break down product from the beneficial bacteria are organic acids that lower the pH in the gut and makes it a hostile environment for pathogens and opportunistic bacteria. Your immunologic health is deeply tied to your gut flora. If it’s healthy there is a big chance that your whole immune system is functioning well. The beneficial bacteria stimulate the production of IgA, an antibody that is excreted by certain immune cells in the gut wall and serves as a selector of which bacteria are to remain in the gut and not. It’s a kind of communication molecule between the beneficial gut bacteria and the immune system of your body. This creates a barrier where only the nice bacteria are allowed to live and roam and they repay their host by keeping other, not welcome, bacteria and substances out. If this delicate balance brakes down, as usually happens when antibiotics are given, the whole immune system is affected, not only the gut. If you have eaten antibiotics you probably had some gut issues, maybe some flatulence and blotaing or full on diarrhea that would keep on even after you had finished the treatment. The antibiotics that are helping you deal with your chest, ear or urinary infection also kills the beneficial flora and gives room for the opportunistic bacteria and the pathogens. It takes 2-4 weeks for the original gut flora to grow back after being diminished, and they require good nutrition. During this time you will be more susceptible to toxins and other infections and your immune system will be struggling with getting back to normal. Eating probiotics (adding the good bacteria through food or supplements) during and after the treatment with antibiotics will lessen the impact of the antibiotics and help restore the normal flora faster. Prebiotics are substances that help feed the beneficial bacteria and can help restore a dysfunctional gut flora. Each one of us have our distinct bacterial make up, just like we have different finger prints. We do inherit the flora from our moms, when we are breast feeding (our guts are sterile when we are born) or getting bottle fed. And the flora changes with our life style, dietary choices and stress. The bacteria needs good food to be able to do their magic. Next time you eat, remember your not only feeding your self, but also the millions of secret agents living with you, keeping you healthy. Make sure you give them what they need, they will reward you greatly!